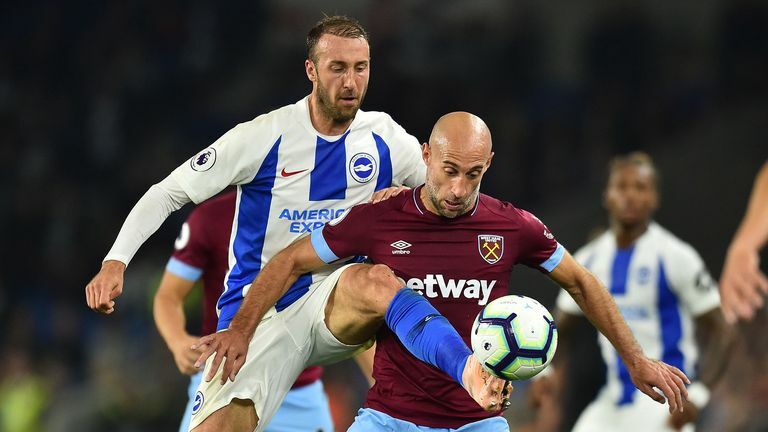 Glenn Murray is targeting his 100th goal for Brighton after moving to within one of the milestone with Friday's match-winner against West Ham. The 35-year-old striker's close-range finish represented his 99th goal as a Brighton player and secured a vital 1-0 home victory, live on Friday Night Football. A second almost followed when he headed narrowly over in the second half but he is determined to get back on the scoresheet as soon as possible to mark the milestone. "I'll be happy to see the 100th goal come and go," he told his club's official website. "I had a couple of half-chances to get the 100th, maybe I should have done better with one, but it wasn't to be. "It'll be a huge achievement to look back on, to get 100 goals for Brighton, but as soon as it's come and gone, the better, because it will be an extra goal in the tally. "At my age you don't take playing in the Premier League for granted. "So I'm taking a bit of extra time to appreciate where I am; enjoy playing in front of a packed home crowd. It's not going to last forever, so you have to make the most of it."